The article reviews the research conducted in Italy on the issue of gender-based violence and in particular on femicide, a phenomenon that has become increasingly important in the media agenda in the last decade. The research is mainly aimed at detecting the magnitude of the phenomenon from a quantitative point of view. In Italy, in line with other European countries, one in three women claims to have been the victim of physical and/or sexual violence, especially by current or ex-husbands and partners, in the course of her lifetime. In addition, a femicide occurs every 2/3 days. The paper highlights some methodological questions related to the construction of the research system, starting from pre-established aims. 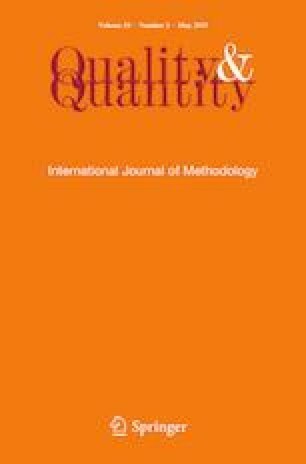 In particular, it focuses on the interpretative paradigms and definitions of “gender-based violence” and “femicide” used, which guide the choice of corpus and categories of research analysis, ranging from feminist and sociological approaches to citizens’ safety and a psycho-individualistic paradigm. These different approaches make it difficult to compare data at both national and international level.